Muhammadu Buhari and his supporters are preparing an elaborate campaign for 2019. 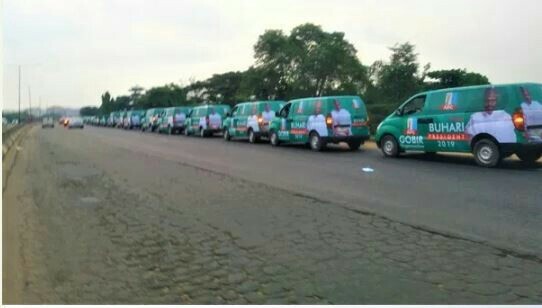 Early this morning, a long convoy of Hyundai H1 were sighted at the Lagos end of the Lagos-Ibadan expressway. 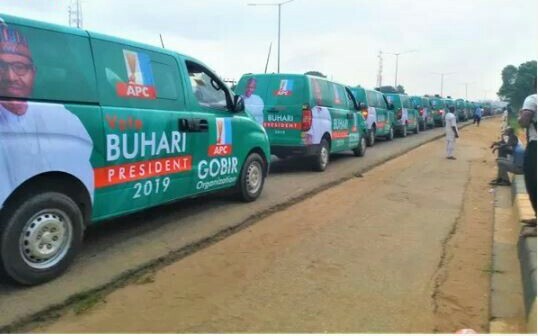 The vehicles were uniformly branded with messages to promote Buhari. Indeed, the length of the convoy was sufficient to break some record.